Wendy Perry, RN Consultant / Leadership Coach - Innolect, Inc. | Innolect, Inc.
An experienced Healthcare Leader, Registered Nurse, and Educator, Wendy works to inspire leaders to excel through learning, growth and presence. Wendy has over 20 years of active-duty U.S. Army service (retired Army Lieutenant Colonel), hospital program administration and local community leadership. Through her experience as a leader, clinician, educator, Veteran, and mentor, she engages and empowers others to achieve long-held goals. Wendy excels at partnering with leaders to influence organizations strategically, operationally, and tactically. Leading teams, herself, that have ranged from several individuals to several hundred, and her experience spans across medical facilities, academic institutions, training organizations, and churches nationwide. She offers a depth of experience and has developed “best practices” that achieve sustainable results. Wendy cultivated her skills in organizational and leader development through key roles that included Chief of Clinical Operations; Chief of Nursing and Health Services; Chief of Hospital Education and Training; and Chief Nurse Executive for the Department of Orthopedics, Neuroscience and Rehabilitation. Shortly after retiring she joined the Primary Care Team at the Charlie Norwood VA Medical Center, serving as the Women Veteran’s Program Manager. 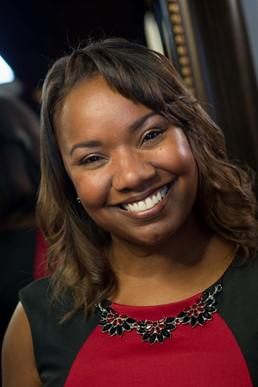 She is a Co-Founder and CEO of Catalyst Executive Advising and Development (CEAD), LLC., through which she shares her expertise as a Personal and Professional Development Mentor. Wendy holds a Master’s Degree in Nursing from the University of Maryland, Baltimore, Maryland, as well as Post-Master’s Certification in Health Services Leadership and Management and Teaching in Nursing and Health Professions. Though she may be but little…she is fierce ~ W. Shakespeare. I am a bold, beautiful and confident African- American Woman of faith who served as a United States Army Officer and Board- Certified Registered Nurse for more than 21 years, while maintaining roles of Military Spouse and Mother of two. Accomplished leader; Educator; Sought-after Orator and Presenter.